Known as the 'Island of Spice' for its plentiful cinnamon, ginger, clove and nutmeg plantations, Grenada is equally as famous for a landscape of rolling hills blanketed in verdant palms. While Caribbean holidaymakers head to Jamaica or the Bahamas for white sand beaches and luxe resorts, Grenada is an island for eco-lovers. Of course, it has sugar-fine shores, but the waterfalls and wildlife sanctuaries that within its lush rainforest are a siren's call for the active traveller. At a glance, Concord Falls doesn't seem like a sight that would require a lot of walking. After all, there is a waterfall visible right from the entrance of the park. However, the 10-metre cascade at the entrance is just the first of three waterfalls that make up the Concord Falls area. The two larger falls require a pretty substantial hike through the forest reserve. Through the forest path, visitors will have to conquer large boulders, creeks and fallen trees until they reach the winding path that runs through a nutmeg plantation and ends at the second waterfall named Au Coin. Continuing through more forest, the path eventually leads to the final 20-metre waterfall named Fontainebleu. It takes a few hours to reach the final waterfall and visitors often choose to end the hike by returning to the first of the falls and enjoying a refreshing dip in the natural pools below it. This quiet mangrove estuary on Grenada's Atlantic side of the island is the former estate of Lord Brownlow, cousin to Queen Elizabeth. His beachside residence has been renovated into a cozy romantic inn that provides a sprawling beachfront and fantastic swimming in its protected bay. However, while a stay at the inn is recommended, the La Sagesse Nature Centre is about more than just the beach. Visitors can hike the abundant nature trails that lead up through the humid forests up to windswept hills that provide stunning views out over the ocean beyond. Aside from hiking, La Sagesse is renowned for its great birding. A number of avian species call the scrub forests, mangroves and salt ponds of the area home. Just two kilometres north of the Lake Antoine crater lake, the forest holds a unique secret that is a must-see for visitors. The River Sallee Boiling Springs are a natural phenomenon that features the water boiling at only 35 degrees Celsius. Although the springs appear to be boiling, they bubble due to sulphur gas rising to the surface. Further evidence of sulphur in the area has been found in the orange and yellow tinted channels that run off the springs. The boiling springs are made up of six different holes. The largest spring is filled with muddy brown water, but the other smaller springs are all crystal clear, salty water - surprising considering they are more than a kilometre from the sea. 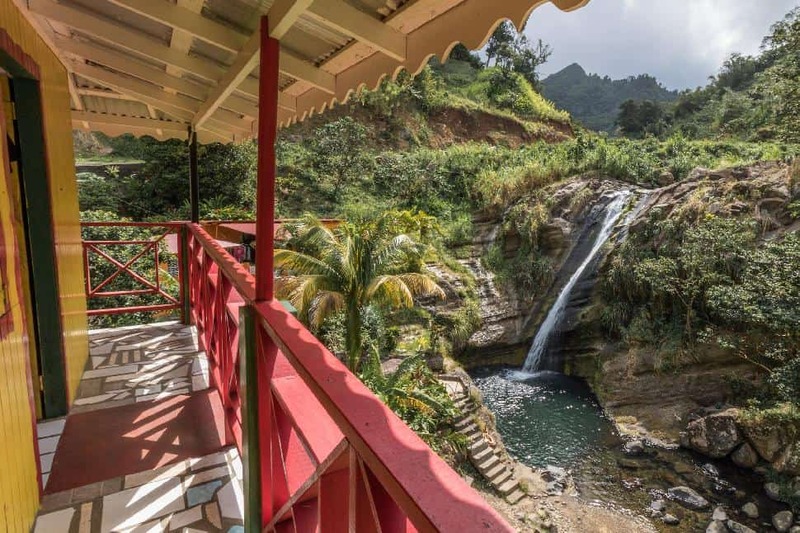 While the springs are fascinating to see, they actually have a very spiritual importance to various religious sects on the island and serve as something of a natural wishing well. Visitors may witness a baptism upon their visit to the area or, more likely, someone tossing in a coin and making a wish. 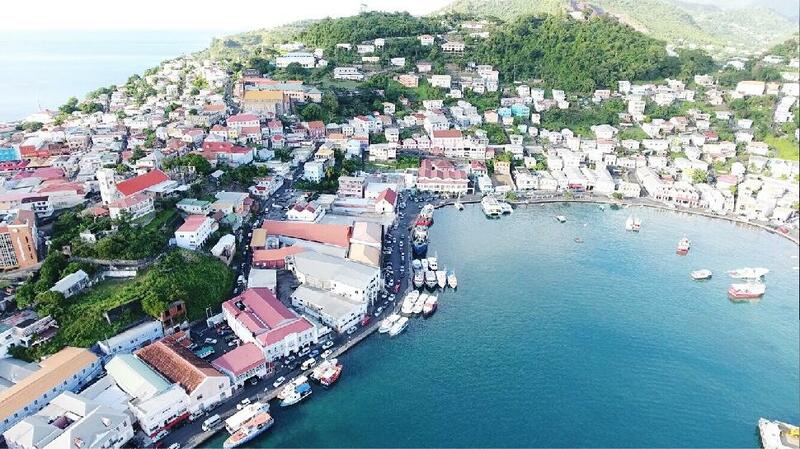 St. George is the capital city of Grenada, but it is most famous for its harbour. The harbour of St. George has been touted as the most beautiful in the Caribbean. It was made from a filled volcanic crater than has left a perfect horseshoe shape in its wake. The water is lined with terraces of French-inspired, pale pastel coloured houses that done vibrant red roofs that make them pop as they climb up the surrounding hills. With such a picturesque sight, visitors will exhaust themselves walking along the Carenage, the harbour's lively waterfront promenade, or heading up into the hills of the city trying to find the best vista of the harbour. Like most port towns, the harbour is the hub of activity in St. George. Not only can visitors find fresh seafood markets and watch goods be unloaded from the wooden schooners, but there are a variety of luxurious cruise ships and yachts moored off shore. For those looking to explore Grenada's sister islands of Carriacou and Petite Martinique, the harbour of St. George is also a hub for the ferries that travel there. 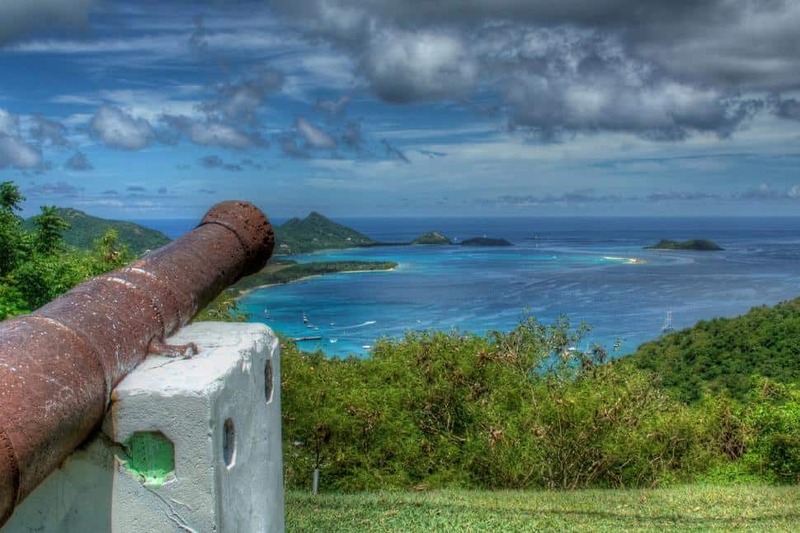 Carriacou is the larger of Grenada's two sister islands. While Petite Martinique is novel for its quaint fishing villages, Carriacou has a much loftier reputation as the "Island of Reefs." At only around 10 square kilometres in size, much of what there is to see in Carriacou lies beneath the island's waves. The island surrounded by clear water and colourful Caribbean coral and marine life. Visitors on land can enjoy the laid-back villages and culture like the French, British and African influences within Hillsborough or trace the island's black and white sand beaches looking for the next great snorkel spots that include the White Island Marine Park or the Sandy Island Oyster Bed Marine Protected Area. Have you ever gotten off the beaten track in Grenada? With so many islands and so much passion, there's always a party to be found in the Caribbean!